ICWV Headquarters is in The Netherlands. Your (financial) support is highly appreciated. Read more on how to send us your donation. 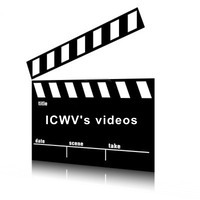 We invite you to send us content by email [content@icwv.org] to be posted at this website. When you are able to support us in making this site more interesting and informative, it will be highly appreciated.